Thera-Band¨ Exercise Balls – The TheraBand Exercise Ball is ideal for strengthening and toning abdominal, back, chest, arms thighs, legs and buttocks. TheraBand Exercise Ball maximizes stretching and increases flexibility. 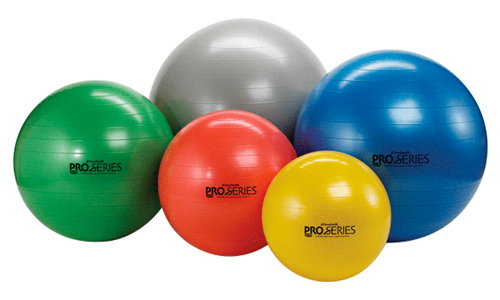 TheraBand Exercise Ball improves balance and coordination. Made of thick molded vinyl.